“In one of your articles, you wrote about [Ed. name of gym removed] on Market Street near Castro. 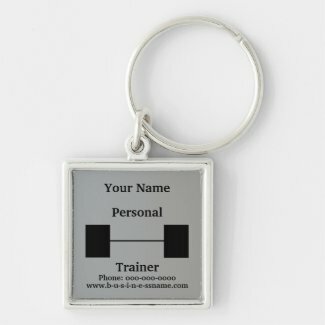 I’ve been going to that gym for years and it used to have a distinct gay feel. It was mostly gay guys who worked out there. That’s now gone. About a month ago, management painted over the rainbow flag colored pillars on both floors of the gym and they’re now drab gray. Inside the gym, they put up a poster advertizing the gym featuring a male-female hetero couple. There’s an aerobics class upstairs that continues to grow and the new group coming in I’d say is generally mainly thin, anorexic-looking white females (techies?). There are hetero couples now. Hetero couples used to be rare in this gym. 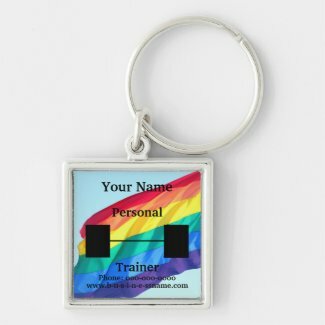 NOTE: I like the rainbow flag keychain up above which is supposed to represent the columns in the gym which were repainted to that drag, ugly gray which that ugly keychain at the bottom is supposed to represent. bad news with this gym. i noticed today at the gym that they’ve installed surveillance cameras every 8 feet with microphones and also speakers on the ceiling playing quiet music so they can listen to conversations and watch and monitor everyone’s actions. this is big brother in the castro. they won’t hear many conversations because most people are on their (to use the word you use which i like) “stupidphone” and they don’t talk in the gym. like the gay community, this gym has gone conservative since they broke away from the gym they belonged to. i think when they broke away people thought that was a good idea. by what they’ve done to this gym since they broke away it’s turned out to be the opposite. a bad idea. thanks for reading my comment. Since you wrote this article, I’d say the gym has stalled in regards to fading to straight. Even though today I did see a straight couple signing up. I hope that’s rare. Other than that, the gym clientele is mostly aging gay men with phones in front of their faces. There is no way that anyone could tell that this is a gay gym anymore. There are no symbols that it’s a gay gym. It remains a straight-looking gym so I sometimes tell people that my gym is one of the first businesses in the Castro to go back in the closet.